"What can be more curious than that the hand of a man, formed for grasping, that of a mole for digging, the leg of the horse, the paddle of the porpoise, and the wing of the bat, should all be constructed on the same pattern, and should include the same bones, in the same relative positions? Geoffroy St Hilaire has insisted strongly on the high importance of relative connexion in homologous organs: the parts may change to almost any extent in form and size, and yet they always remain connected together in the same order. We never find, for instance, the bones of the arm and forearm, or of the thigh and leg, transposed. Hence the same names can be given to the homologous bones in widely different animals. We see the same great law in the construction of the mouths of insects: what can be more different than the immensely long spiral proboscis of a sphinx-moth, the curious folded one of a bee or bug, and the great jaws of a beetle? yet all these organs, serving for such different purposes, are formed by infinitely numerous modifications of an upper lip, mandibles, and two pairs of maxillae. Analogous laws govern the construction of the mouths and limbs of crustaceans. So it is with the flowers of plants." "I will here only allude to what may be called correlation of growth. Any change in the embryo or larva will almost certainly entail changes in the mature animal. In monstrosities, the correlations between quite distinct parts are very curious; and many instances are given in Isidore Geoffroy St Hilaire's great work on this subject. Breeders believe that long limbs are almost always accompanied by an elongated head. Some instances of correlation are quite whimsical; thus cats with blue eyes are invariably deaf; colour and constitutional peculiarities go together, of which many remarkable cases could be given amongst animals and plants. From the facts collected by Heusinger, it appears that white sheep and pigs are differently affected from coloured individuals by certain vegetable poisons. Hairless dogs have imperfect teeth; long-haired and coarse-haired animals are apt to have, as is asserted, long or many horns; pigeons with feathered feet have skin between their outer toes; pigeons with short beaks have small feet, and those with long beaks large feet. Hence, if man goes on selecting, and thus augmenting, any peculiarity, he will almost certainly unconsciously modify other parts of the structure, owing to the mysterious laws of the correlation of growth." "We shall have to recur to the general subject of rudimentary and aborted organs; and I will here only add that their variability seems to be owing to their uselessness, and therefore to natural selection having no power to check deviations in their structure. Thus rudimentary parts are left to the free play of the various laws of growth, to the effects of long-continued disuse, and to the tendency to reversion." "A trailing bamboo in the Malay Archipelago climbs the loftiest trees by the aid of exquisitely constructed hooks clustered around the ends of the branches, and this contrivance, no doubt, is of the highest service to the plant; but as we see nearly similar hooks on many trees which are not climbers the hooks on the bamboo may have arisen from unknown laws of growth, and have been subsequently taken advantage of by the plant undergoing further modification and becoming a climber. The naked skin on the head of a vulture is generally looked at as a direct adaptation for wallowing in putridity; and so it may be, or it may possibly be due to the direct action of putrid matter; but we should be very cautious in drawing any such inference, when we see that the skin on the head of the clean-feeding male turkey is likewise naked. The sutures in the skulls of young mammals have been advanced as a beautiful adaptation for aiding parturition, and no doubt they facilitate, or may be indispensable for this act; but as sutures occur in the skulls of young birds and reptiles, which have only to escape from a broken egg, we may infer that this structure has arisen from the laws of growth, and has been taken advantage of in the parturition of the higher animals." "Therefore we may infer that these several bones might have been acquired through natural selection, subjected formerly, as now, to the several laws of inheritance, reversion, correlation of growth, &c. Hence every detail of structure in every living creature (making some little allowance for the direct action of physical conditions) may be viewed, either as having been of special use to some ancestral form, or as being now of special use to the descendants of this form either directly, or indirectly through the complex laws of growth." 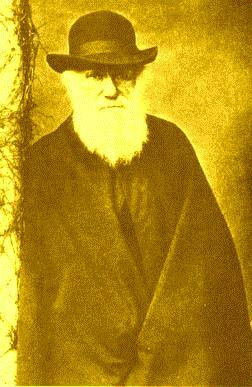 "We are far too ignorant, in almost every case, to be enabled to assert that any part or organ is so unimportant for the welfare of a species, that modifications in its structure could not have been slowly accumulated by means of natural selection. But we may confidently believe that many modifications, wholly due to the laws of growth, and at first in no way advantageous to a species, have been subsequently taken advantage of by the still further modified descendants of this species. We may, also, believe that a part formerly of high importance has often been retained (as the tail of an aquatic animal by its terrestrial descendants), though it has become of such small importance that it could not, in its present state, have been acquired by natural selection, a power which acts solely by the preservation of profitable variations in the struggle for life." "The expression of conditions of existence, so often insisted on by the illustrious Cuvier, is fully embraced by the principle of natural selection. For natural selection acts by either now adapting the varying parts of each being to its organic and inorganic conditions of life; or by having adapted them during long-past periods of time: the adaptations being aided in some cases by use and disuse, being slightly affected by the direct action of the external conditions of life, and being in all cases subjected to the several laws of growth. Hence, in fact, the law of the Conditions of Existence is the higher law; as it includes, through the inheritance of former adaptations, that of Unity of Type." "The subject of instinct might have been worked into the previous chapters; but I have thought that it would be more convenient to treat the subject separately, especially as so wonderful an instinct as that of the hive-bee making its cells will probably have occurred to many readers, as a difficulty sufficient to overthrow my whole theory. I must premise, that I have nothing to do with the origin of the primary mental powers, any more than I have with that of life itself. We are concerned only with the diversities of instinct and of the other mental qualities of animals within the same class." "As the capacity of one plant to be grafted or budded on another is so entirely unimportant for its welfare in a state of nature, I presume that no one will suppose that this capacity is a specially endowed quality, but will admit that it is incidental on differences in the laws of growth of the two plants." "...we may infer that, when any part or organ is either greatly increased in size or wholly suppressed through variation and continued selection, the coordinatory power of the organization will continually tend to bring again all the parts into harmony with each other."